Here are three photographs showing the railroad bridge across the Missouri River at Atchison, Kansas. One of the photographs shows the bridge offices on the right. 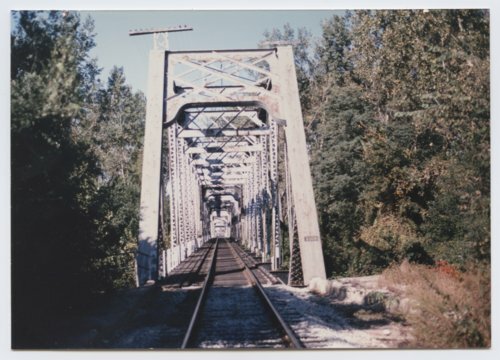 Three railroads used the bridge Burlington Northern; Atchison, Topeka & Santa Fe; and the Union Pacific.